Data is the fuel your dealership’s marketing machine uses to run. How well that machine runs, however, depends on how you process that fuel. In a recent article previewing the 2019 Consumer Electronics Show (CES), iProspect’s Jeremy Hull noted that one of the technologies marketers should pay close attention to is artificial intelligence (AI), specifically its growing role in the field of predictive assistance and analytics. While this technology looks to be a factor in all areas of marketing, it’s especially crucial in automotive sales — and dealers who ignore it do so at their own peril. Here are four facts about AI and predictive analytics that can offer insight into this new philosophy on modern marketing. Because of the role it often plays in popular science fiction, the term “artificial intelligence” may sound like tomorrow’s technology. The truth is that it’s already playing a part in the way the modern consumer shops and the way forward-thinking companies are presenting themselves to those customers. AI is the tool that predictive analytics is built around, and it is a game-changing technology. Where traditional analytics look to the past, predictive analytics examines the data consumers generate — through their browsing history, purchases, behaviors and other information — and calculates what they’ll do in the future. What will they do next? What do they want? Will they defect to your competition? What messages can your dealership send to keep them happy and loyal to your dealership? It takes massive amounts of data and calculation to build a view into the future — far beyond the capacity of a human staff. By using the AI-powered technology that currently exists, however, your dealership can look into the future to better serve your customers. Contrary to some prevailing “wisdom,” people don’t automatically object to marketing. What they do object to is having their valuable time wasted and being bothered by obnoxious ads battling for their attention. The difference between “Junk mail/spam” and “good to know” communication is relevance. Getting a blanket “we’ll buy your car” offer when you’ve just purchased a vehicle? Spam. Getting a coupon for an oil change when the “change oil” indicator on your dashboard just sprang to life? Good to know. In his article, Hull points to the beauty brand Shiseido and its use of AI and predictive assistance to benefit both the company and the consumer. Shiseido uses an app to help people find the right makeup for their skin type through the seasons of the year. In doing this, the company gets valuable information about those individual consumers which allows them to tailor relevant marketing messages directly to them and predict their future needs. Because of the nature of the business, dealerships know a great deal about their customers. Through the use of predictive analytics, dealers can keep the customer engaged through the lifecycle of the vehicle, from sale through service, based on the actual needs of their vehicle, and then back to sale again. Far from being “future tech,” customers have come to rely on the use of AI-generated selections. Even more, they are increasingly demanding it. Amazon might be the most visible supplier of the “you may also like” suggestions based on the consumer’s shopping behavior, but other companies — such as Google, Netflix, Apple, American Express and more — have become experts in predicting what the customer wants or needs and then providing them with curated choices that will resonate best. Looking for a vehicle can be an overwhelming experience for consumers, with the vast array of makes, models, trim packages and financing options available to them. When your dealership brings AI into the mix, your marketing and sales presentation can help them narrow down the field until they feel comfortable making an educated decision from a hand-picked selection of options. The vehicle buying process is seen by most as an antagonistic process; many shoppers would rather go to the dentist than walk into a dealership. With the proper approach, however, the dealership can be seen as the customer’s partner in the process. Anticipating their needs in the first step in reimagining the sales process. Artificial intelligence is here, and it’s only going to become a bigger factor in marketing from this point forward. The advantages in using this technology, both from the perspective of the dealership and the consumer, are clear. Dealers who hope this is just a passing fad or a “flavor of the month” technology will put themselves at an ever-increasing disadvantage. Customer behaviors are constantly evolving and the expectation of relevant communication — especially when it comes to a major purchase like an automobile — is only going to grow. Marketers from all industries are looking at predictive assistance and analytics to grow their businesses and keep their customers satisfied. With the AI-powered tools available to them, dealerships are in a prime position to take full advantage of this technology. Contact Outsell today to learn more about our unique AI marketing capabilities. From the NADA Show 2019, Outsell, which offers the only AI-driven marketing automation platform for the automotive industry, announced a major update to its flagship platform. Outsell 5.2 includes new features that make it not only the best solution for managing and optimizing cross-channel marketing campaigns, but also greatly enhance auto marketers’ ability to create and share engaging content especially in social media channels. New content management capabilities that really separate Outsell from the pack – including new templates, brand compliance tools and the ability to measure/optimize content performance. 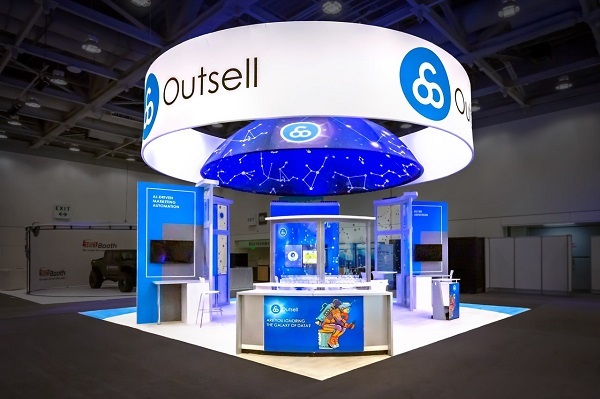 To learn more about Outsell 5.2 or to book a demo during the NADA Show 2019, visit booth #6258W or contact info@outsell.com. Outsell will also convene a gathering of its Customer Advisory Board during the NADA Show 2019, bringing together auto dealer marketing leaders to discuss 2019 trends, long-term objectives, and how Outsell can improve its value to dealers. Also at the NADA Show 2019, Outsell will broadcast a Facebook Live session with well-known auto dealer consultant and author, Brian Pasch, CEO of PCG Companies, to talk about how marketing automation is key to digital retailing. From the NADA Show 2019, Outsell, which offers the only AI-driven marketing automation platform for the automotive industry, announced strong 2018 financial results, with direct revenue up 45 percent over 2017, and direct bookings up 28 percent. Outsell also offers the best platform for definitively measuring the impact of every marketing dollar invested, said Wethington. Launching Outsell 5.0, enhanced with even more artificial intelligence capabilities, providing automotive dealers with unprecedented insight into buying behavior and the ability to take targeted content to the next level, with automated, multi-channel campaigns that are individualized to each person’s exact preferences. Launching Outsell 5.1, an upgrade that makes Outsell the first to auto-generate individualized customer incentives proven to drive store visits and sales. Winning 10 awards for its products and its work with customers and partners, including the2018 WebAward Automobile Standard of Excellence Award, a Gold Stevie® Award and a Gold 2018 Summit Creative Awards. Outsell announced today that along with partners RXA and Vistadash it has completed the first data study focused completely on Marketing Return on Investment (ROMI) for U.S. auto dealerships. Conducted in September and October 2018, the study spanned 300 dealerships, and looked at data on 420,000 customers, 3.5M customer interactions, and $72M in media spend. Outsell, RXA and Vistadash sought to measure whether auto dealers were allocating marketing spend across channels for optimal return. The study’s key finding: Half of dealers surveyed were overspending on at least one marketing channel – meaning they had invested to or past the point of diminishing returns. Dealers struggle with measuring ROMI, and especially to attribute specific campaigns to a sale when there are always multiple touches. Outsell, RXA and Vistadash developed a methodology that enables them to calculate ROMI using the dealer’s Google Analytics and DMS data plus their self-reported media spend. This multi-touch attribution model optimizes gross profit by not wasting any money, not leaving any opportunities on the table, and finding the sweet spot for each place a dealer puts its money. 300 dealers provided these details for study analysis. Dealership size has an impact on ROMI, with smaller dealers seeing solid returns from paid media and referrals whereas larger dealers have the scale to see better performance from display and email. When it comes to conquest marketing, dealers need to go big or go home – if you can’t do it at scale, you shouldn’t do it at all as you’ll never achieve positive ROMI. About half of dealers are underspending on social media marketing. One out of every three dealers is overspending on Search-Engine Marketing (SEM). Most of that overspend is in branded search – paying for clicks for your dealership name. While this tactic works well for smaller dealers, it’s unnecessary for large stores who are already well known and get good results from organic search. 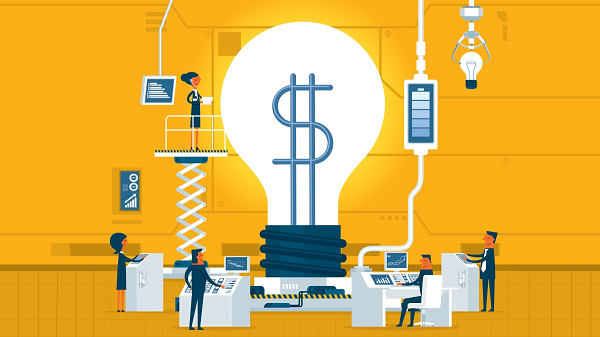 While dealers have often believed they need to spend more on marketing in a large market, the study found that market size does not impact ROMI. Often, dealers could optimize their investments simply by shifting budget around – they don’t necessarily need to invest more. To learn more about the study, please contact marketing@outsell.com. RXA is a cloud-based software company that offers machine learning and artificial intelligence applications to help you make smarter, faster decisions. Learn more at https://rxa.io/. Vistadash is the automotive industry’s premier marketing intelligence tool, giving automotive dealers the ability to consolidate and simplify reporting, as well as measure the quality of their online and offline marketing campaigns based on engagement. Its clear, user-friendly interface displays all the latest data trends at a glance, allowing users to quickly and easily analyze information and encourage smarter marketing decisions. For more information, please visit www.vistadash.com. Learn more about Outsell at NADA 2019. Outsell announced today that it will co-host a live webinar with Automotive News on December 13, 2018 about how successful acquisition and retention through a ‘customer first’ and consultative approach can benefit dealers. Titled, “Success Through Innovation: Tips for Your Dealership,” the webinar features speakers James Kurtenbach, Marketing Director at Schomp Automotive Group, Jill Howard, Director of Client Services at A2Z Sync, and Valerie Vallancourt, Vice President of Marketing at Outsell. In today’s market, consumers expect individualized outreach and care out of every retail experience. 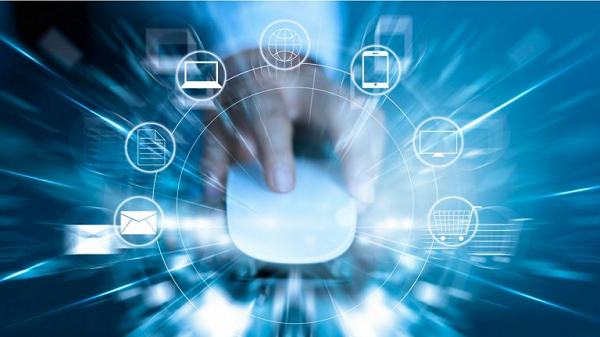 With the right mix of technology and marketing automation, dealers can provide that to their consumers at every stage in the buyer lifecycle, from conquesting to purchase, to the next sale. James Kurtenbach, Marketing Director at Schomp Automotive Group, Jill Howard, Director of Client Services at A2Z Sync, Valerie Vallancourt, Vice President of Marketing at Outsell and David Versical, Chief of Editorial Operations at Automotive News (moderator). Evolution is a natural element in sales because change is inevitable. Customers are changing. The marketplace is changing. The products are changing. And yet, in the automotive field, the idea of change is often resisted far more than in other sales arenas. Dealers who want their business to not only remain profitable for the present but to grow in the future need to be on the lookout constantly for new tools to help them serve customers better and maintain the bottom line. One area that has seen the biggest transformation in recent years is automotive sales marketing. Not so long ago, broadcasting blanket marketing messages, launching random email blasts and blindly sending out mailers in the hopes they’ll connect with an in-market buyer was all that was possible. Today, consumers ignore messages that aren’t relevant to their current situation. Fortunately, there are tools available to dealerships today to help them cut through the noise and reach consumers at the right place and right time. Tools such as AI-driven marketing automation and predictive analytics help marketers zero in on the desires and shopping history of individual consumers in order to present information and offers that are relevant to their needs. This is done through the use of the volumes of data generated by a consumer’s shopping patterns, both online and off. There’s so much data generated, in fact, that it would be impossible for a human to comb through it all to find information that matters to individual prospects. That’s where the tools driven by artificial intelligence come in. Far from removing the human from the sales equation, having this kind of insight into the needs of individuals allows salespeople to better serve them and the dealership. Part of the difficulty of blindly marketing to a mass of consumers is that each consumer’s lifecycle is unique. When you take into account all the factors that figure into a large purchase decision — family, finances, vehicle preferences, personalities and more — it becomes clear that messages targeted to an individual would carry far more weight than a generic “come to our dealership” commercial. With AI-driven marketing tools, dealerships can provide the information consumers want — sometimes before they’re even aware they want it — and be part of a back-and-forth conversation, rather than presenting an easily dismissed all-purpose sales pitch. As long as you’re providing a consistent and relevant message, becoming that tap on the shoulder to let them know you’re always there, you stay top of mind when it’s time to make that next purchase decision. 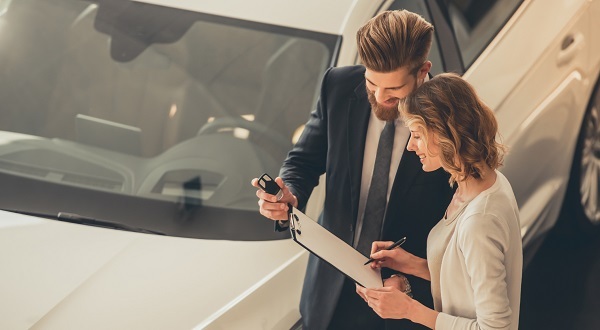 While the sales department can sell one vehicle, it’s often the service and marketing departments that keep the customer engaged and bring them back in for a long-term retail relationship. It’s important that the marketing message change after vehicle delivery so that the dealership becomes a partner with the customer in keeping the vehicle safe and reliable. Automation is key to maintaining the relationship that was built in the sales phase. If left to busy salespeople, regular communication can be put off and forgotten in favor of making new sales and gaining new customers. And, as salespeople leave the dealership for one reason or another, customers become “orphans,” with no one remembering that client’s history with the company. 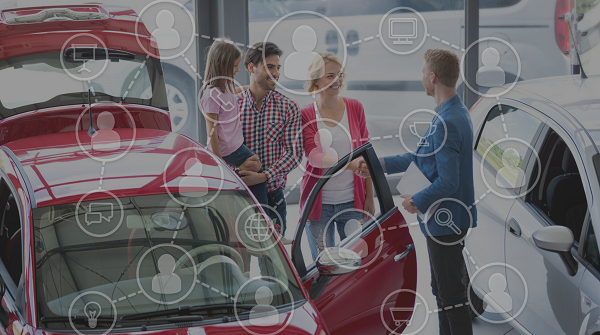 AI-powered tools can step in and help a staff maintain the connection between the dealership and the consumer. No matter what changes, you have consistent branding that’s going to speak to that customer. It’s that soft, dependable touch that lets them know you’re there to serve them when they need it. With the evolution of “smart” marketing tools available to the modern dealership proceeding at a rapid rate, it’s necessary for dealers to keep track of the innovations and be aware of new technology. However, the future may have a resemblance to the past. AI is going to continue to expand; that’s pretty obvious. Traditional marketing is making something of a comeback, but it is becoming more refined, pairing AI with direct mail, for example, where you’re not just blasting it out and hoping someone brings back a flyer. It’s putting a relevant message on a vehicle that the person may have been shopping for, putting that in their mailbox and pairing that with a potential offer. Consumers are changing; dealerships have the ability to change with them and serve them better than ever before. Rather than fearing the future, the most successful dealerships are embracing it. Now that you know you need automation, we’ll cover next how to use it to give that personal touch for a seamless customer experience. Register now for our upcoming webinar December 13 at 2pm EST “Success Through Innovation: Tips for Your Dealership” with James Kurtenbach, Marketing Director at Schomp Automotive Group, and Jill Howard, Director of Client Services at A2Z Sync. On the sales front, there are plenty of opportunities for a forward-thinking dealership to serve the customer, increase profits and build for the future. One element that can often be overlooked, however, is not how the vehicles are sold, but which vehicles are sold. Having an in-demand inventory makes the job of sales easier and can bring customers into the store with less effort. And, when it comes to acquisition, determining the trade-in value with the customer can make or break a sale. 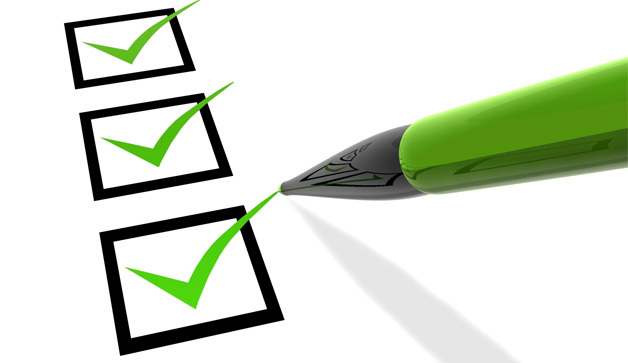 With inventory, GMs and dealers must have a strategy in place to answer three essential questions most customers have. It has always been challenging to stock a dealership’s inventory with in-demand vehicles because tastes change, the availability of popular models can be inconsistent and local demand can be very different from national trends. Taking into account the access consumers now have to information about inventory — not only locally but on a regional and national level — a dealership can’t afford to have low-demand vehicles on the lot taking up valuable retail space. Fortunately, the technology now exists where dealers don’t have to rely on guesses or gut feelings for what to carry. Inventory management tools are available to assist with both stocking and pricing in-demand vehicles. 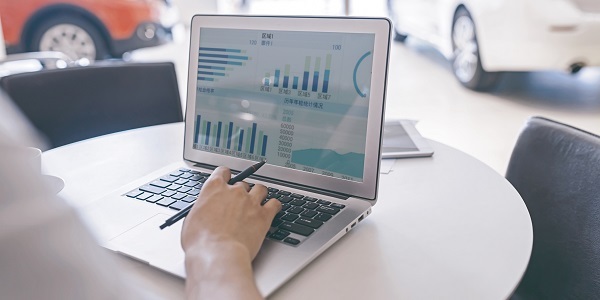 These tools use both the dealership’s data and data from the surrounding area to determine the best mix of inventory for a dealership’s unique marketplace. These tools also aid in determining popular trim packages and other features that help sell vehicles more rapidly. For smaller dealerships, inventory stocking can still be done on a case-by-case basis, but you have to pay close attention to what the marketplace wants. This process is more time consuming and less accurate, so regardless of dealer size, an educated, data-driven process may still be necessary to achieve your goals. In many cases, part of the sales process is making the customer an offer on their old vehicle. In earlier times, the manager would make an offer and the customer could either take it or leave it. That process has changed. Today’s educated consumer has not only researched the vehicle they’re interested in buying but also has an idea of what their trade-in is worth. Through Kelley Blue Book, Edmunds and other online guides, the customer comes in with a number in mind. That number, however, is often flawed without the customer realizing it. If not handled properly that flaw can sink the entire deal. When determining the value, a salesperson or manager must walk the line between what’s good for the deal and what’s good for the dealership. “As a dealer,” Howard asked, “what would you pay at auction for the vehicle being traded in?” Many times, a customer will be more receptive to an offer if they have some context. The discussion about a trade-in should be part of the conversation much earlier in the negotiation than many salespeople realize. Springing what can be a rude surprise at the end of the process can ruin any rapport built with the customer along the sales process. Customers demand transparency in the automotive sales process, and that extends to the trade-in negotiation. In addition, people often have an emotional attachment to their vehicle. When what they might consider an insultingly low number is simply pulled out of the air, it can sour them not only on the deal but the dealership as well. Being able to show the customer how a price was determined using software that takes into account reconditioning, market value and other information can go a long way toward building trust. 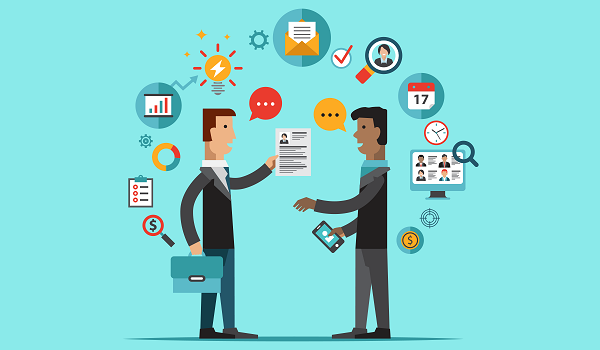 With this, what could have been an uncomfortable situation for everyone is now another positive step on the way to making the sale and creating a long-term relationship with that customer. If you want to earn a customer’s business — and earn it for life — your dealership must be seen as the opposite of what they expect. Instead of being their adversary, you’ve got to be their advocate. The difference between an adversarial relationship and a mutually beneficial one starts at the very top of the sales funnel—the initial marketing phase. In order to be seen as different from the stereotype, a dealership must reach the consumer with targeted, relevant information. The good news is that there’s a staggering amount of data consumers generate through their day-to-day online and offline shopping activities to help a dealership accomplish this goal. To make the most of the data available that matters to consumers, however, tools such as artificial intelligence and predictive analytics must be brought into play. There’s a fine line between using the data and getting lost in it. You’ve got to make sure what you’re doing is relevant to each consumer. Utilizing AI is imperative because dealerships don’t have time to do this on their own. Tools such as the email blast have become things of the past. You want to make sure that your dealership is there for the customer and sends an individualized message at the right stage of their sales and maintenance lifecycle. While a dealership needs to get the consumer’s attention, it’s important that you not overwhelm them by showing just how much information you have on each consumer through the use of AI. Instead, bringing up timely, appropriate messages is key to becoming top of mind and forging a relationship. Using a “soft-sell” approach lets the consumer guide when they’re ready to buy without pushing the dealership’s agenda onto them. Timely communication — even just checking in to see where they are in their lifecycle — can help you capture a consumer’s attention. Successful dealerships have found that individualized communication gets consumers onto the lot in ways that “pray and spray” marketing can’t, and simply opening the doors and expecting business is no longer an option. You have to build relationships and the key is to start digitally. To stand apart from the competition, dealerships must demonstrate they understand what the consumer wants and where they are on the path to sale or service. Tools such as marketing automation driven by AI allow dealerships to do just that and, as a result, can help them be seen as advocates rather than “pushy” salespeople in the journey to a new vehicle. While moving from the classic advertising tactics to a new, more focused approach might require a period of transition for the dealership in the short run, the effects will be worth it for both the business and the consumer long-term. Preparing consumers with correct, relevant information about their vehicle of interest, the dealership and the process, allows dealers to build an offer with an educated customer who’s happy to be there, rather than one who comes in with their defenses raised, ready for a fight. Dealers can retain profit on each vehicle more effectively, get better reviews and word-of-mouth references and bring a customer back for servicing and additional vehicle purchases in the future. Stay tuned for the next article in this series as we dive into the three customer questions dealers must be able to answer, and REGISTER NOW for our upcoming webinar December 13 at 2pm EST “Success Through Innovation: Tips for Your Dealership” with James Kurtenbach, Marketing Director at Schomp Automotive Group, and Jill Howard, Director of Client Services at A2Z Sync.